From the moment you enter, you quickly feel the warmth of our home-like facilities. From the main lobby, to the arrangement offices, to the visiting areas, a sense of comfort is present throughout. Please call to schedule an appointment so we may provide you with personalized care. Surrounded by stained glass crafted in the 1920s, visitors appreciate the simple beauty of our service chapel. 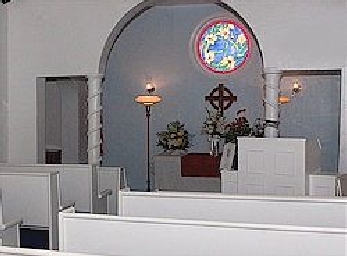 Small and intimate, our chapel is appropriate for the families of all faiths, for both traditional funeral services and contemporary memorial services. 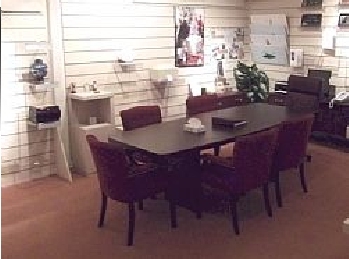 Our families appeciate the wide selection of options available in our arrangement room. 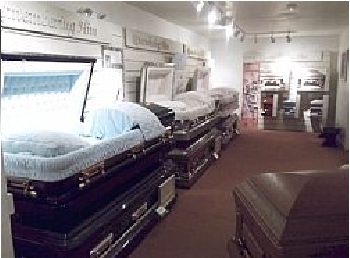 Both traditional and contemporary products for burial and cremation are displayed in many forms. 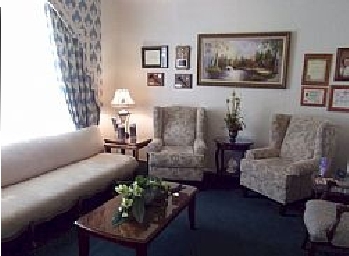 Come in and take a tour to see how we can provide for your comfort and needs. If you prefer, you may call us for assistance, (949) 492-1717.